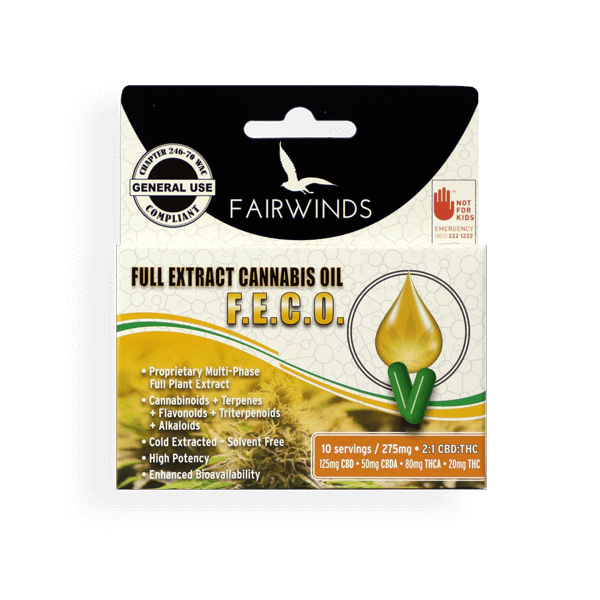 The fairwinds Full Spectrum Oil (FSO) capsule is designed to provide all the components of the cannabis plant. Many look to the popular RSO, thinking that this extraction technique captures the full capability of the plant similar to whole plant juicing, but it does not. Typical RSOs are made using alcohol, but not all the ‘capable’ components of cannabis will dissolve in alcohol, so alcohol extraction is not full spectrum. 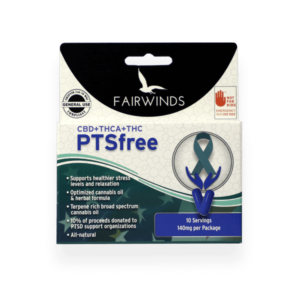 The Fairwinds FSO products are made with our “multi-phase” extraction process. 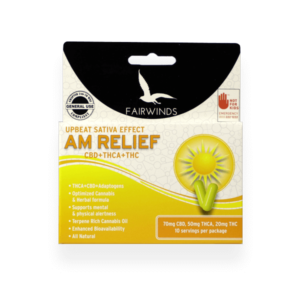 The whole plant is extracted in our closed loop extraction system to capture cannabinoids, terpenes, and waxes. Fresh plant material including flower, leaf, stem, stalk and roots are ground and juiced to provide a highly nutritious juice. We then freeze-dry this material to remove all the moisture without degradation of the sensitive water-soluble components (polysaccharides, flavonoids, alkaloids etc.) and add it to the first phase oil fraction. Since fresh cannabis juice cannot be purchased, we add it to our Fully Extracted Cannabis Oil products for your wellness. We blend our DOH compliant pesticide-free oils to achieve a standard ratio. For FSO we blend raw and heated oils, allowing us to achieve a mixture of THC, THCA, CBD, and CBDA. 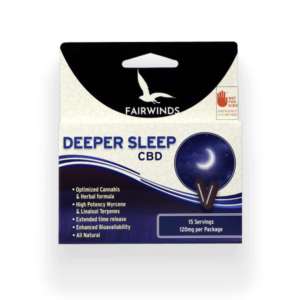 The blend also contains lesser amounts of CBC, CBCA, CBG, CBGA, and CBN.